Bought this for my wedding and then found another that resembled my mothers dress which I had dreamed of wearing! It's absolutely stunning. The professional photos don't do it justice. Drss is unused and completely unaltered. 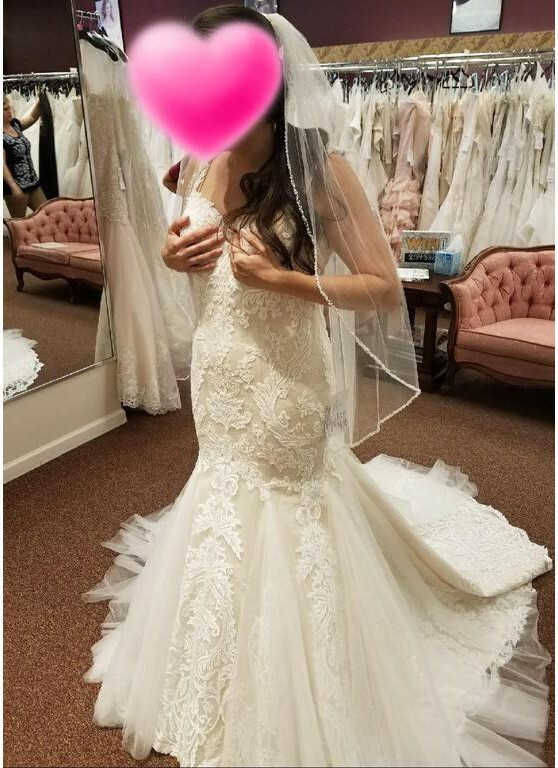 I'm a size 10 and would have just needed to get the straps altered and the bottom hemmed. Once you send a message, Kristina can invite you to purchase the dress.